Ayurveda is a universal knowledge that has always been and will always be as long as life shines in a being. It was revealed through meditation to Rishis in the heights of the Himalayas about 5000 years ago and compiled in 600BC into Charaka Samhita, the pamphlet on general medicine and Sushruta Samhita, a text on surgery. Its holistic approach to the human being is based on uniting soul, mind, senses and body. This is the requisite for health. 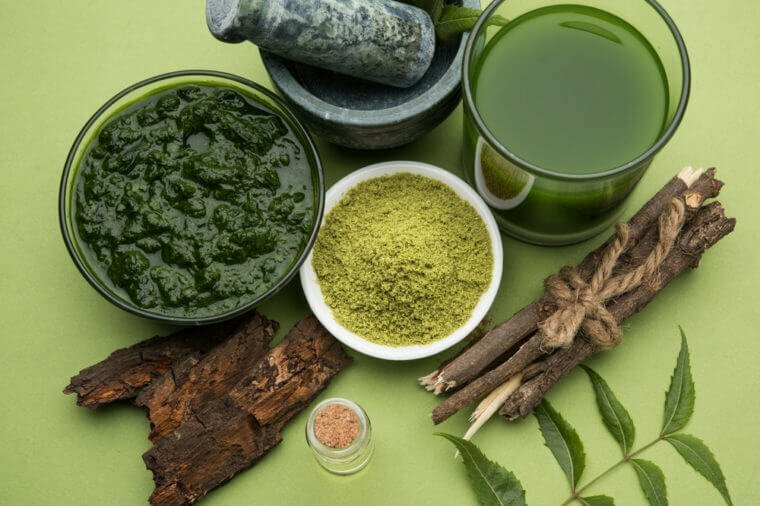 The aim of Ayurveda is preventing (to keep the healthy one healthy all along the days, seasons and life), healing (an imbalance or disorder) and realising oneself (to feel one with oneself and the universe). 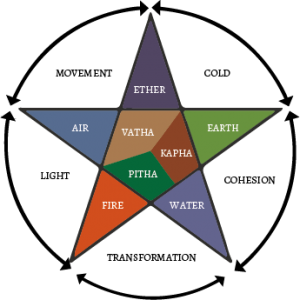 According to Ayurveda the primary cause of imbalance is the loss of connection with the divine, the loss of feeling one with the universe and the surroundings. This disunion creates longing and suffering which will lead to spiritual, mental and physical disorders. Understanding what causes a disunion in the self gives a sense of one’s personal responsibility in the imbalance. If our will power of healing is strong, by removing the causative factors, adjusting food and daily routine/habits and using some specific herbal or mineral preparations, can allow our body and mind to realign and unite again. Healing will very much depend on our awareness, will power, and the space and time we give ourselves to recover. For acute ailments, there are also herbal remedies that give quick relief.